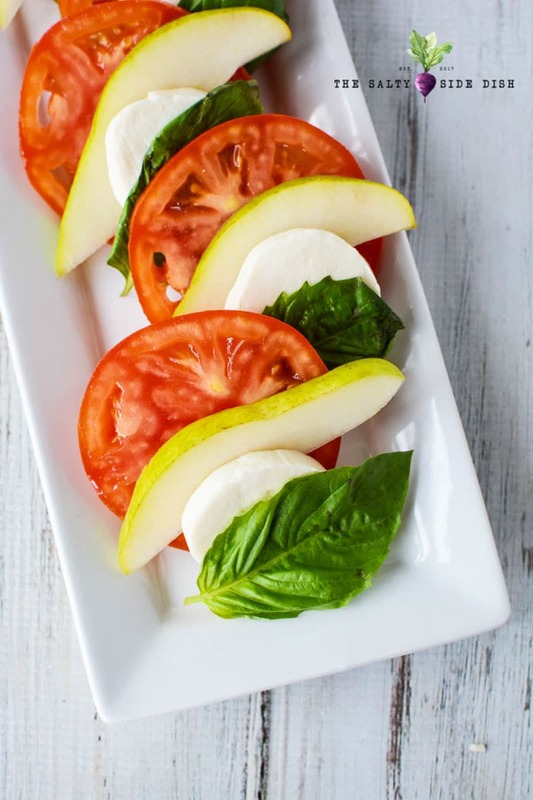 Ensalada Caprese is a traditional Caprese salad with a unique twist. Sliced pear makes every bite the BEST and combines the perfect sweet with the savory of the balasmic! No matter whether you are making a Caprese Salad tray for one (I do!) or serving up to an impressed whole crowd in just minutes, you cannot go wrong when you choose this as your next appetizer, lunch, or side dish recipe. 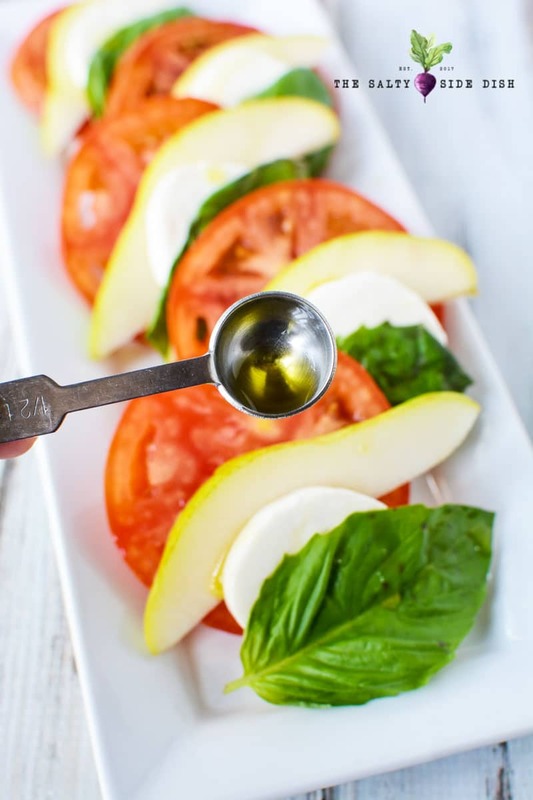 Insalata caprese is a perfect tomato mozzarella caprese appetizer plate for one – or for a party. The plate below is meant just for one or two, but you can double, triple, or make for 60 people if you prefer. And because this recipe is done in under 5 minutes, its also one of the quicker ways to go from unprepared to majorly prepared and still look like you knew what you were doing. This is also a no baking, no cooking dish and just requires some great knives and a little time. Easily made and done in minutes, the only “cooking” involved is the balsamic reduction, which is a choice to make fresh, and takes less than 10 minutes. You can also purchase a full done balsamic vinegeratte, dressing, or vinegar in a bottle and it works in a pinch. Tip: Pears not your thing? This salad also tastes delicious with sliced up strawberries! This is a small platter. You can easily double or triple the ingredients. I bought my cheese pre-sliced. The Balsamic reduction takes the longest and then you just assemble the ingredients after slicing the fruits. 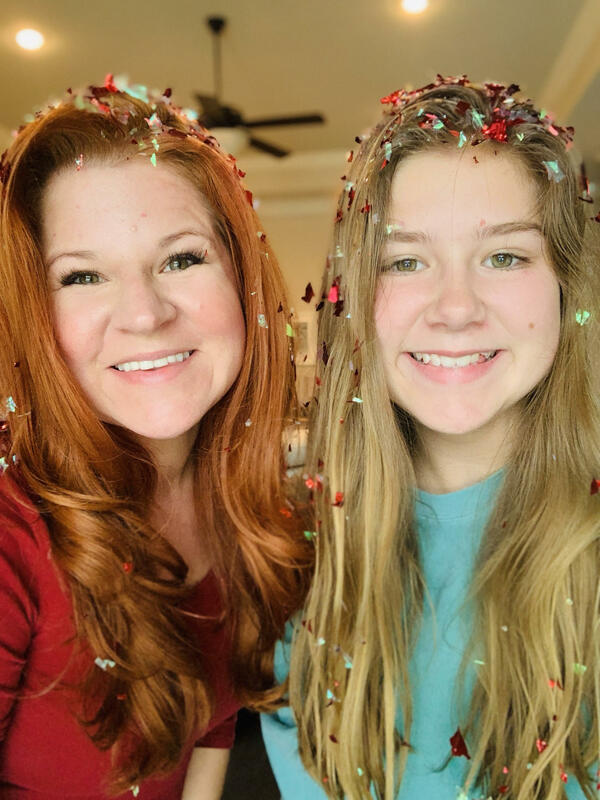 Need more than just a little? Double or triple the recipe! Looking for more Caprese Recipes? You are in the right place if you are a cheese, basil and tomatoes person. 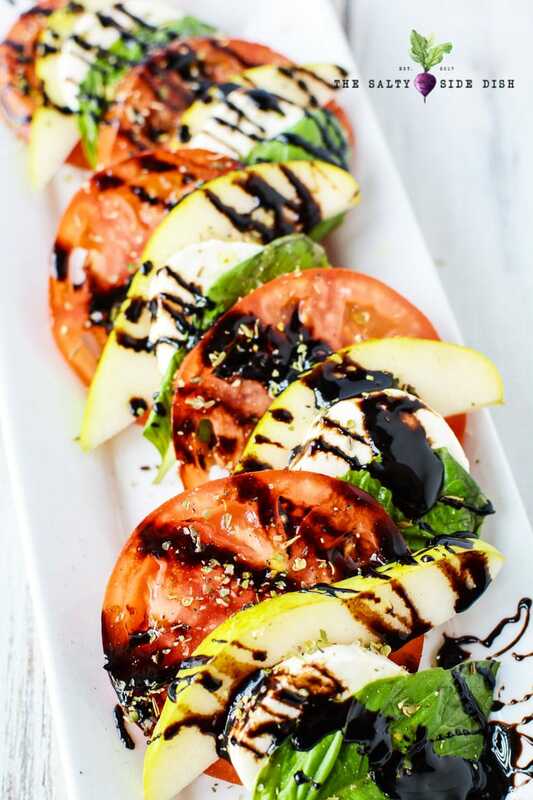 Enjoying caprese is something I do weekly so I always have awesome ideas on how to make this dish work for every part of my day. Caprese Salsa Eat your Caprese on a Chip! Tomato Mozzarella Lady Bugs Dial up the cute with mini lady bugs so good you can EAT them! Caprese Skewers Appetizers for one or a whole crowd. Caprese Pizza Tonight’s dinner calls for homemade caprese pizza, a cheesy, basil and tomato filled dinner. Caprese Sandwich Sliders Nothing says the big game like individual sliders! 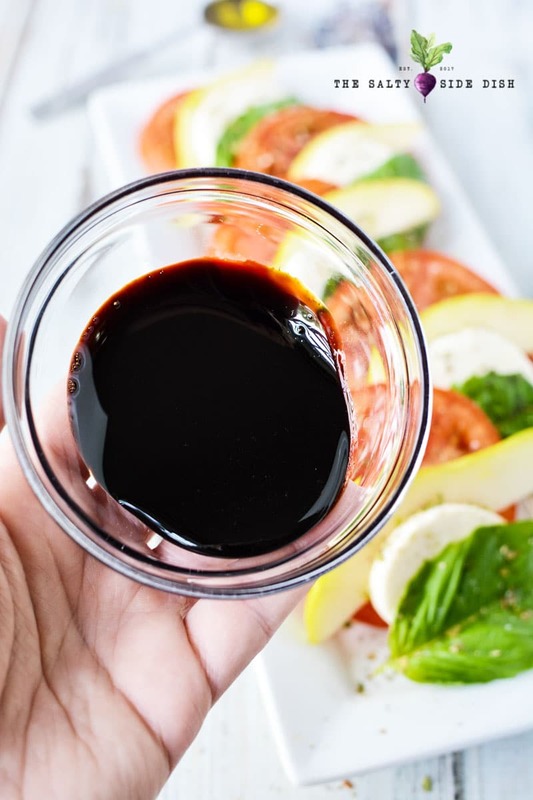 To get started on this cold side dish recipe you first need to make your homemade balsamic reduction or you can look at the one on my pizza recipe. After you are done making your sweet glaze, it’s so easy to create a beautiful tray! 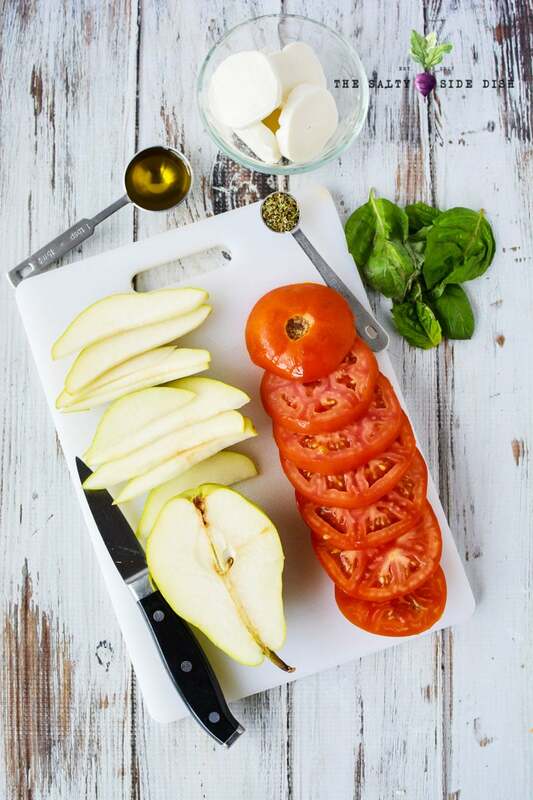 Layer fresh tomatoes, pear slices, mozzarella cheese and fresh basil leaves on a platter. Repeat these steps until you have filled the plate or large platter. Drizzle with extra virgin olive oil and sprinkle with oregano, salt and black pepper. This appetizer will quickly become your favorite salad to eat!! I also really love making this Caprese Pizza so if you are just not done with your fill today, make sure you pad your menu tonight! Ensalada Caprese is a traditional Caprese salad with a unique twist. Sliced pear makes every bite the BEST! No matter whether you are making a Caprese Salad tray for one (I do!) or serving up to an impressed whole crowd in just minutes, you cannot go wrong when you choose this as your next appetizer. Layer tomatoes, pear, cheese and fresh basil leaf on a platter. Repeat until you have filled the plate. Drizzle with olive oil and sprinkle with oregano, salt and pepper. 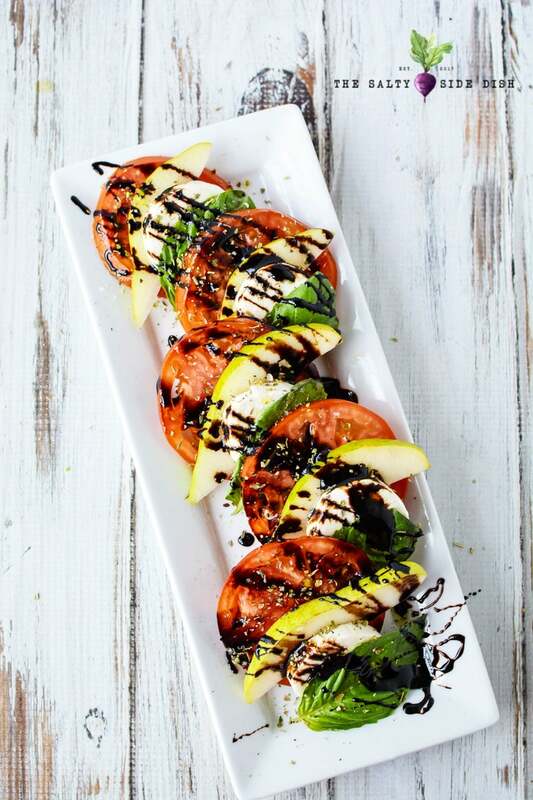 Drizzle with balsamic reduction before serving. What a delicious twist, I am trying this!! !